Dinnertime is a great time for catching up with your family, especially during the hustle and bustle of back-to-school season. Now that school is back in session, reward your family for their hard work and bring the dinner your family loves to the table with a fiesta - Old El Paso style! If your family already loves tacos, why not have a special night to fix tacos on the calendar at least once a month? With a variety of seasonings and other complementary products, Old El Paso offers everything you need for fun nights with the family. To satisfy your Mexican style cravings, the Old El Paso® line up of products includes chilies, dinner kits, dips and sides, enchilada sauce, refried beans, seasoning mixes, shells, taco sauce and salsa. The Old El Paso taco seasoning mix selection includes flavors like Burrito, Cheesy Taco, Chili, Fajita, Taco, Mild Taco and even a seasoning with 40% less sodium. For a fun twist on Taco Night, be sure to try one of the delicious recipes below. Easy Fish Tacos: Old El Paso® taco shells, seasoning mix and taco sauce and battered fish fillets make quick work out of Mexican fare. Tarantula Tacos : Having a Halloween party? Gather the kids and make spook-tacular tacos. And to keep your family laughing at the dinner table, have some fun with El Tacodor™, the world’s only Family Taco Night Game. With El Tacodor, your family can share a special night at home by challenging one another to quick fire trivia, wordplay and pantomime. 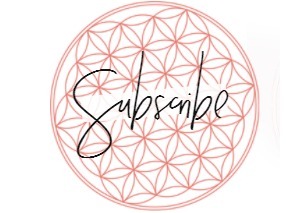 Visit www.ElTacodor.com today to download instructions, a score card, and a challenge sheet for even more fun when you sit down for a taco dinner! Visit Old El Paso for news and great tips, recipes and more. Take a minute to share family fiesta photos and videos from your taco dinner on the El Tacodor Family Spotlight! In addition, you can visit http://www.myblogspark.com/uc/main/b069/to download a printable coupon for $0.60 off any two Old El Paso products today! We do have a taco dinner often. It always gets everyone in the kitchen helping and leaves everyone full & happy. Whether it's tacos, taco salad, or burritos, we always count on Old El Paso to make our family taco night tasting right. 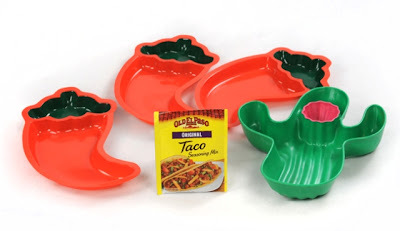 One lucky winner will receive Old El Paso prize pack which includes a packet of Old El Paso Taco Seasoning, a Cactus Chip & Dip Serving dish, a set of 3 Fiesta Chili Pepper serving dishes and a $10 gift card to purchase your taco fixings. *Follow me @jamaise at Twitter & Tweet this : RT @jamaise #GIVEAWAY #WIN - An Old El Paso~ prize pack & $10 gift card #myblogspark http://bit.ly/cpRBwh ends11/12 tweet each day for one entry each ! Disclaimer: Old El Paso provided me with all information and product to review through My Blog Spark. I was under no obligation to review it if I so chose. Nor was I under any obligation to write a positive review or sponsor a product giveaway in return for the free product. These views are my own. we have tacors every friday & im a gfc follower ! I follow you on GFC. I like avocado on my taco. I entered your Wanchai Ferry/Date Night giveaway. Taco are fun here, everyone has fun fixing them, and we have a movie on taco night, when we can. GFC follower. I like avocado and ground turkey on my taco. Love Mexican night at our house. Got a tortilla press as a gift so make my own. Top tacos with homemade salsa and guacamole and yummmy!!!!!!!!! I like simple ground beef tacos with Old El Paso seasoning and lots of sharp cheddar cheese. I like tacos with lettuce, tomatoes, cheese, sour cream and salsa! I follow via GFC. I like my tacos hot! Lots of hot salsa & jalapenos! Entered the Wanchai Ferry/ Macaroni Grill giveaway. I follow you...and my tacos are just your general run of the mill tacos! I try to copy Taco Bell! What I like about tacos is that you can make almost any leftover meat into a taco meal. I entered the Wanchai Ferry Macaroni Grill Date night giveaway. 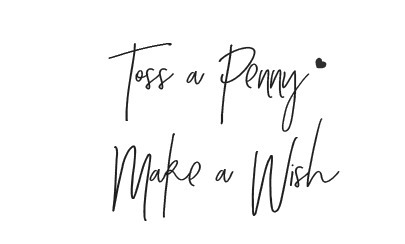 Follow wishing penny via GFC. My family LOVES taco night and I LIKE them with Chicken and lots of salsa. Google Friend Connect Follower! I like taco crunch rather than taco when we have taco night, with lots of sour cream! We do tacos about once every other week. And I love all the fixins! Yum! When we have taco night we have a taco bar and include a variety of toppings, including olives, jalapenos, black beans, etc.